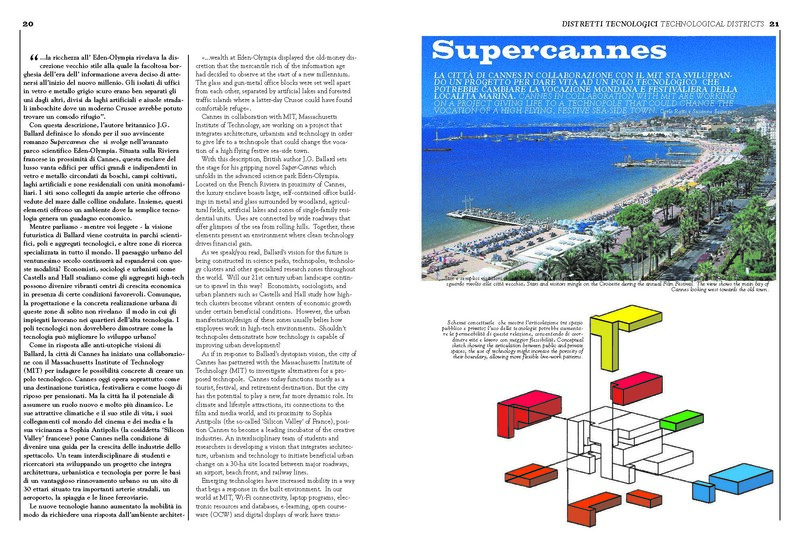 The project is made during a workshop at MIT for the development of the city of Cannes, in Southern France, to a Mediapole. Cannes today functions mostly as a tourist, festival, and retirement destination with activities peaking during the summer and at key times of the year. 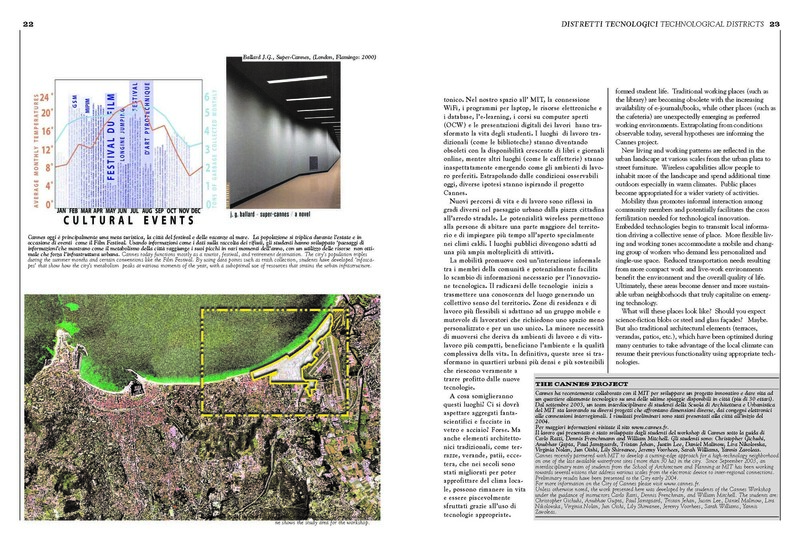 The main challenge is how to integrate technology to the existing social and spatial fabrics. 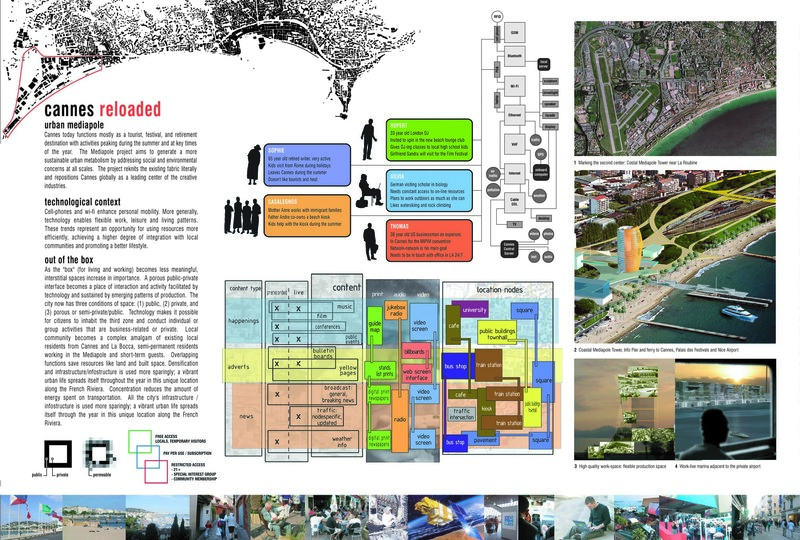 The Mediapole project aims to generate a more constant and sustainable urban metabolism by addressing social and environmental concerns at all scales. The nodes of a network support interaction with media content, located within the urban context. 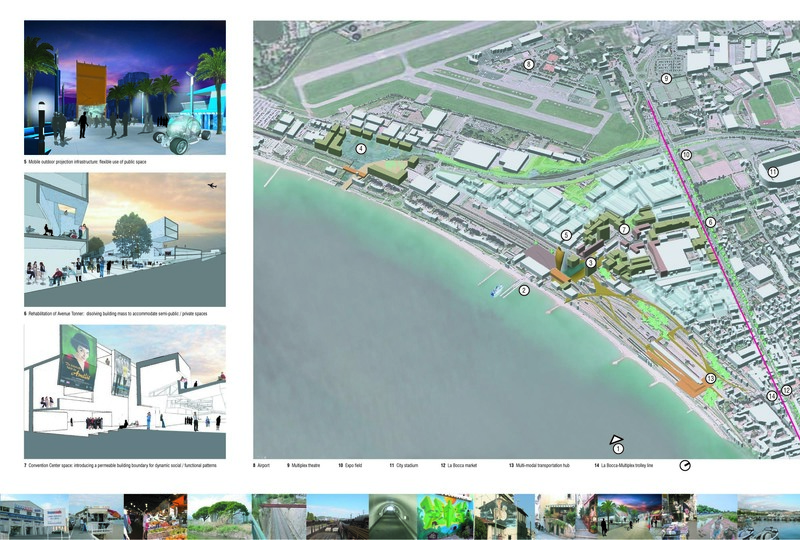 The project focuses on the regeneration of an existing industrial site, to be converted into a new technological district that would reposition Cannes globally as a leading center of the creative industries.